It doesn’t much matter whether Marc Nadon should get to serve on the Supreme Court of Canada, or whether any judge of the Federal Court of Canada can serve as one of the three Quebec judges on the Court. But the Supreme Court’s decision on the Nadon reference has produced an eruption of excited comment from political pundits, academics and politicians. Paul Daly, who teaches administrative law at the University of Montreal, called the ruling "a huge day for the Canadian federation. This is a ringing declaration from the Supreme Court of Canada on the importance of Quebec's distinct character and how important it is to protect it." Errol Mendes, a law professor at the University of Ottawa, called the ruling "a slap in the face to the PM who sought to stack the Court with a clearly unsuitable candidate." He also said it was a criticism of the way the Prime Minister treated the question of national unity. William Trudell, a Toronto lawyer, said the ruling made him proud to be a member of the legal profession. "Mr Harper is not above the law, and cannot shape it or ignore proper processes to fit his political agenda. True 'law' and especially 'order' has been protected by the Supreme Court of this remarkable country." As is often the case with the Supreme Court, it is not its decision but what people make of it, which much depends on how it expresses itself, that matters. The question the Court had to decide was a technical one, an issue of statutory interpretation. Though that does not mean it is beyond the understanding of laymen. It was argued, and the majority of the Court held, that the use of ‘is or has been’ in Section 5 and its absence from Section 6 meant that Parliament intended that, while for the other seats on the Court people who had been lawyers in a province for ten years but were no more could be appointed to the Court, for the Quebec seats, only people who are at the time of their appointment Quebec lawyers, or judges, can be appointed. Marc Nadon, who was last a lawyer in Montreal in 1993, was ineligible since his appointment to the Federal Court in that year. The counterargument, cogently put by Mr. Justice Michael Moldaver in his lone dissent, was that, reading the two sections together, it was clear that the absence of ‘is or has been’ from Section 6 was not meant to restrict Quebec appointees to current advocates, or judges, but assumed ‘is or has been,’ and only restricted their qualifying service to service in Quebec. As Moldaver sharply pointed out, not carrying forward the provisions of Section 5 into Section 6 would mean that a Quebec lawyer would be eligible for appointment to the Court on the day of his call to the bar, while lawyers from other provinces would have to have have had ten years under their belt. The majority seemed to think that Quebec appointees would have to have 10 years membership in the Quebec bar, even though the 10 years requirement only appears in Section 5. Moldaver wrote ‘with respect’ that ‘this amounts to cherry-picking. Choosing from s. 5 only those aspects of it that are convenient and jettisoning those that are not.’ The majority cutely declined to say whether it would be enough for a judge of the Federal Court to step down and be readmitted to the Quebec bar for a day, saying that they had not been asked that. Moldaver’s reasons had been anticipated by an opinion obtained by the government from retired Supreme Court of Canada judge Ian Binnie. 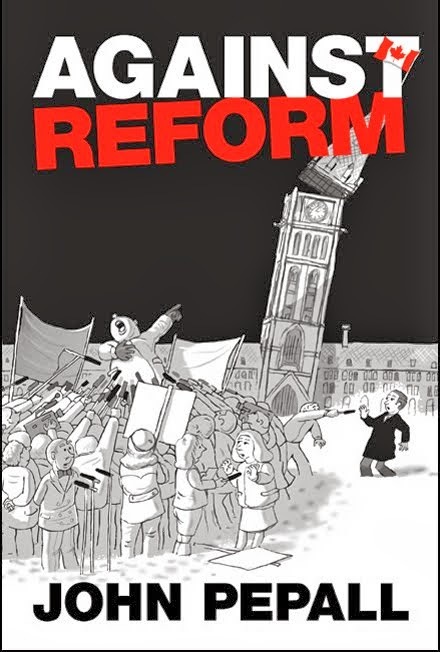 An opinion endorsed by Louise Charron, another retired Supreme Court of Canada judge, and Peter Hogg, a law professor who holds the reputation of Canada’s leading constitutional expert. I am not a judge and do not need to decide which postion is correct. Though I do find Moldaver’s most persuasive. But the controversy over the Nadon appointment has been fueled by the way the majority chose to express itself. Golly Gee! Ain’t they grand! And humble too! As some time late in the last century they refused to be called ‘Their Lordships’ as they had been for the first 120 years of their existence. The Court’s idea of ‘purposive’ interpretation is to think that where any dispute arises about the meaning of a statute Parliament must have meant to do what the Court thinks best and the words it used should be interpreted accordingly. 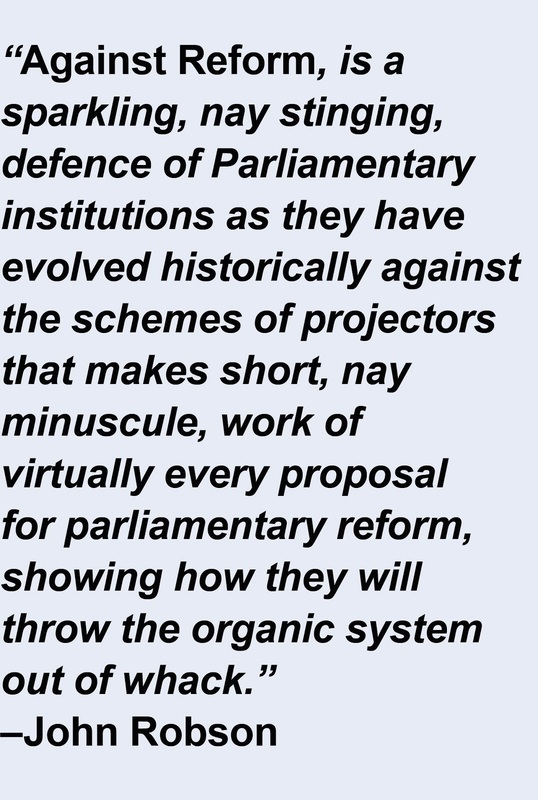 That Parliament might simply not have made itself crystal clear, though clear enough for Moldaver, Binnie et al. won’t do. The Court knows what Parliament meant, it meant well by the Court’s standards, and the Court will make it clear for us. What it all amounts to is saying that Parliament intended that Quebec lawyers who accept appointment to the Federal Court render themselves ineligible for appointment to Quebec seats on the Supreme Court of Canada because their knowledge of civil law might become a bit rusty. Reasonable lawyers could disagree on the interpretation of Sections 5 and 6 together, but it is surprising that the court came down 6 to 1 against the Nadon appointment. 5 to 2 maybe, if not 4 to 3. But that would be to descend from ‘ fundamental issues about the composition of the Court and its place in Canada’s legal and constitutional order’ to mere statutory interpretation. The Nadon appointment would face a mere technical glitch and there would be little for the commentators to sink their teeth into. There is not the slightest ground for attributing these grand purposes to Parliament in its framing of Section 6 as the majority interprets it. The purposes the Court finds are not Parliament’s but its own. Nor is their any ground for attributing to Quebeckers a perception that Quebec lawyers who have served on the Federal Court, as Quebeckers (Nadon was appointed to the Federal Court, and then the Federal Court of Appeal, as one of the quota of Quebec judges on the Court), are not qualified to represent Quebec’s legal traditions and social values. Except that the Court has now said so and the Parti Québécois government, for whom the word ‘federal’ is a hex, was one of those who started the issue on its way the Court. It’s all nonsense anyway, as, on the Court’s interpretation, a Quebecker who, without ever practicing in Quebec, had kept up his membership in the Bar but worked in New York for years, a character from a Denys Arcand film perhaps, would be qualified for appointment as a Quebec judge of the Supreme Court of Canada, while Nadon is not. With its ‘broad’ ‘purposive’ ‘historical’ ‘fundamental’ and ‘philosophic’ reasons the Court gave something for the pundits to sink their teeth into and they were off. Many took the majority’s grand view of its work and reported its ruling in terms like this, from Sean Fine, The Globe’s ‘Justice Writer,’ ‘Quebec's distinctive character must be reflected in the appointment of judges to the Supreme Court of Canada.’ No one doubts or disputes that. That’s the point of Section 6. What was at issue was whether the wording of Sections 5 and 6 together disqualifies sitting judges of the Federal Court, despite training and experience in Quebec law that would have qualified them for appointment had they not accepted a seat on the Federal Court. The Court itself says ‘Our opinion,…limits itself to the legal and jurisdictional issues necessary to answer the questions. We are not asked about nor opine on the advantages or disadvantages of the eligibility requirements codified in ss. 5 and 6 of the Act and possible changes to them.’ So despite their purportedly ‘purposive’ interpretation of the Act, the Court wasn’t saying this is just the way to assure the most Quebeckish judges for the Quebec seats on the Court. As my example above illustrates. Simpson doesn’t go into detail on the reasons, which he may not even have read. But the necessary implication of his column is that we must be greatly relieved that Binnie and Charron are no longer on the Court, having endorsed arguments deserving only of rebuke. And worried about Moldaver. On this thinking, a government concerned for its reputation might be tempted never to send its lawyers to court unless guaranteed of success. And where there are legal arguments, there are no guarantees of success. So governments would be bound not simply to obey the rulings of the courts, which they do, but to do nothing against which an argument might be raised, for fear of losing the argument and being pilloried for being ‘rebuked’ by the courts. …the NDP was quick to respond, saying the ruling suggested no one in the government was “minding the constitutional house” since it had been trying to appoint a judge who didn’t qualify for the Supreme Court. “The court, thank God, decided to tell them, no you can’t do that,” NDP justice critic Francoise Boivin told reporters in Ottawa. Boivin put the blame for Nadon’s appointment on the government, which she said didn’t follow proper processes or listen to the will of the Quebec legislature. Boivin was a member of the Supreme Court of Canada Appointments Selection Panel from whose shortlist Nadon was chosen. Did she check with the Quebec legislature in the course of her work? And ‘minding the constitutional house,’ where does it say in the Constitution that the Quebec legislature must be consulted on Supreme Court of Canada appointments? Jeffrey Simpson does what most of the commentators have done, confuse the technical question of Nadon’s eligibility under the Supreme Court Act and his merits as a potential judge of the Court. If Nadon had been the most admired judge in the country the reasons of the majority should have been exactly the same. To say that they would not have been would be to say that they were dishonest. That the majority simply cooked up its reasons because it didn’t want Nadon sitting with them. Only Moldaver expressly states that it ‘is a legal issue, not a political one. It is not the function of this Court to comment on the merits of an appointment or the selection process that led to it. Those are political matters that belong to the executive branch of government. They form no part of our mandate.’ But harsh critic of the Court that I am I would not go as far as Simpson and most commentators do in implicitly saying that the Court’s real reasons were a distaste for Nadon. The alternative line would be to think that the majority was worried about reaction in Quebec. The National Assembly had voted unanimously against Nadon’s appointment. Nationalistes are quick to take offence where there is none. It is one of the French Facts we must live with. Perhaps the Court was worried that taking Moldaver’s more persuasive line would upset them and set to work to find a way in its reasons and in the result to placate them. It used to be said that ‘an ambassador is essentially an honest man sent overseas to lie for the sake of his country.’ And a Supreme Court judge goes to Ottawa to do it?